Bill has been a Lay Pastor at Palmetto Baptist Church since August 2014. 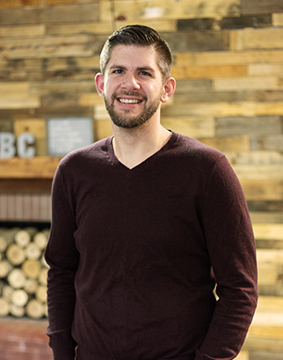 He serves in the college, music, and shepherding group ministries and has a heart for discipleship. He earned an MA in Pastoral Studies from Bob Jones University in 2013 and was ordained for Gospel work by Palmetto Baptist Church in 2014. Bill works full-time leading a lead generation team for a company in Greenville. Bill and his wife, Jessica, were married in 2013 and enjoy coffee and tacos (but not at the same time).